Free Shipping Included! 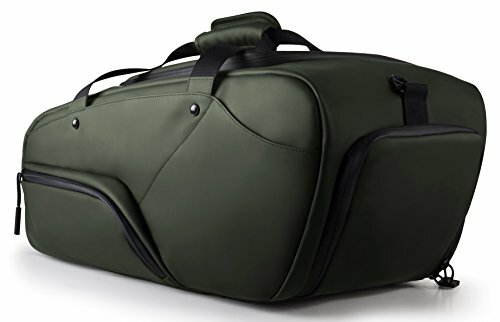 KP Duffle - The Ultimate Travel Bag (Army Green) by Keep Pursuing at The Black Pearl. Hurry! Limited time offer. Offer valid only while supplies last. Meet the KP Duffle, your Ultimate Travel Bag. Fast-looking and elegant, like a Ferrari, with quick-access pockets for your daily essentials. Meet the KP Duffle, your Ultimate Travel Bag. Fast-looking and elegant, like a Ferrari, with quick-access pockets for your daily essentials. Ventilated shoe compartment keeps your stuff smelling fresh while the scratch resistant PU leather keeps your bag looking great for a really long time. Meets airline carry-on dimensions and includes easily accessible tablet compartment. Whether you're traveling for business or just going to the gym, do it in style with the KP Duffle. If you have any questions about this product by Keep Pursuing, contact us by completing and submitting the form below. If you are looking for a specif part number, please include it with your message.